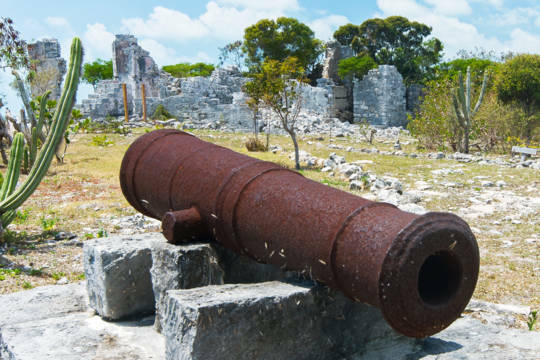 The cannon at Little Bluff Lookout, Salt Cay. 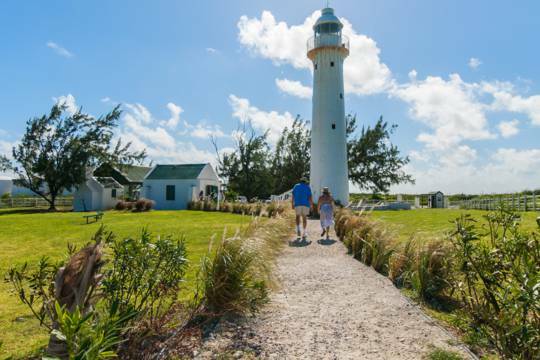 The most-recognizable of the structures in the Turks and Caicos, the century old Grand Turk lighthouse today serves as the most popular historical site in the country. The Turks and Caicos Islands is a tropical archipelago of eight large islands and a several dozen small islands and cays. Only five of the large islands, and three small cays are currently populated. The country is formed of two island groups: the Turks Islands and the Caicos Islands. 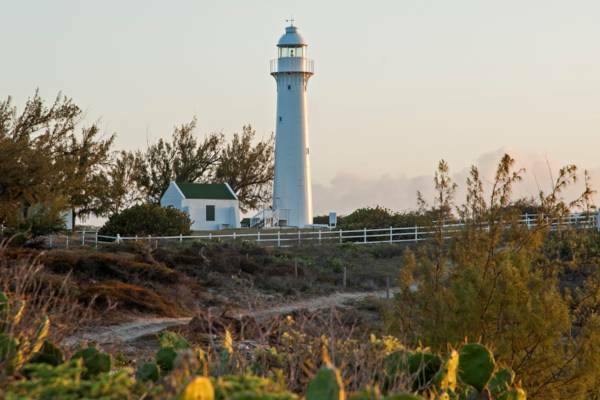 The Caicos Islands include Providenciales, East Caicos, West Caicos, North Caicos, South Caicos , and Middle Caicos. 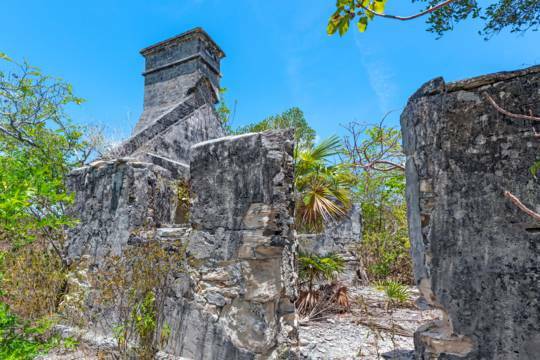 Of these, East Caicos and West Caicos are uninhabited. The Turks Islands only include two populated islands : Grand Turk, and little Salt Cay, both of which are settled. The capital city of the Turks and Caicos is Cockburn Town on Grand Turk. The first known inhabitants of the Turks and Caicos were the Tainos (also referred to as Lucayans). It’s thought that the Tainos migrated to the islands from the south around the year 700 AD. 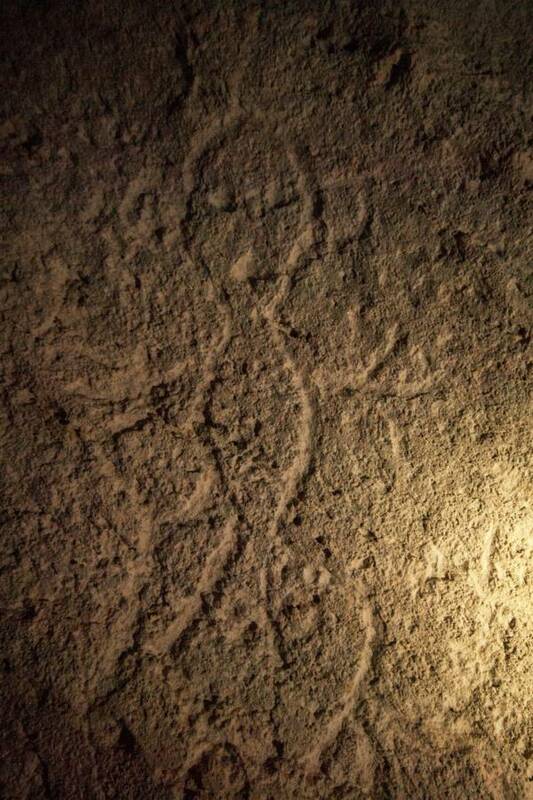 Evidence suggests that life was simple for the Tainos. Hunting and fishing were probably the main sources of food, but limited planting also helped to sustain daily life. There’s not enough evidence to be certain, but it’s likely that several land animals such as a giant iguana, large nocturnal rodents, land tortoises and possibly a dwarf crocodile were native to the islands and were hunted to extinction by the Tainos. The Turks and Caicos Islands Rock Iguana is the largest indigenous animal still remaining. Structures were basic huts as well and caves were used for shelter during storms. Small artefacts, mainly broken pottery shards, have been the primary source of information on these aborigine peoples. 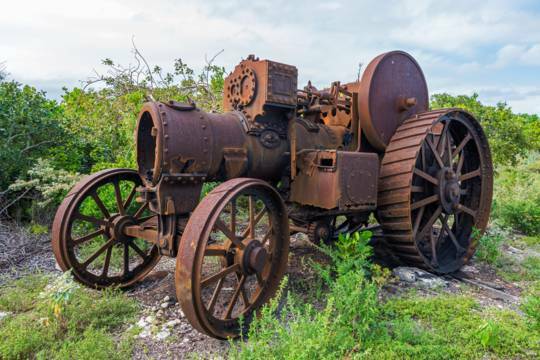 These items have been mainly found in caves or at refuse sites in some of the Caicos wetlands. Currently housed at the Turks and Caicos National Museum in Grand Turk, the Taino Duo seat and canoe paddle are two of the most interesting artefacts found. The Taino populations were decimated after the arrival of Columbus. Due to Spanish slavery and disease, the last of the Tainos disappeared by the early 1500s. 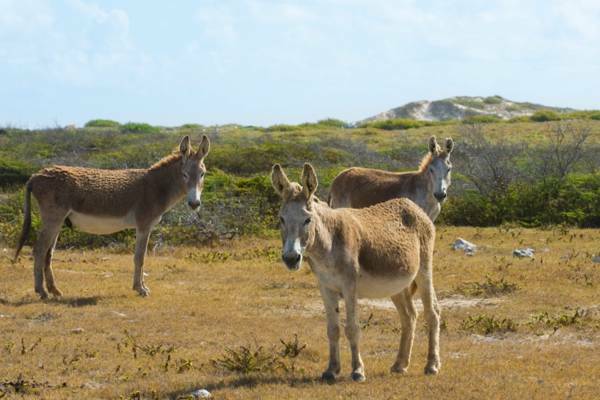 Wild donkeys on Salt Cay. In 1492, Christopher Columbus landed in the New World. Although contemporary historians have believed that he landed on San Salvador in the Bahamas, some scholars believe that he actually landed on Grand Turk. At any rate, no one paid much attention to the islands until the 1700s. This is when the low-lying nature of the some of the islands was utilized to produce salt. For the next few hundred years, salt became the backbone of the economy. Bermudians in particular would arrive each year during the salt harvesting season. The ships they used were copied and became the Caicos Sloops, which were the only means of transportation between the scattered islands and the rest of the world. During the American Revolution, Turks Island salt was in high demand by the Americans for preserving meat. Legend says that George Washington himself specifically requested it from the Continental Congress due to its high quality. In 2014 US dollars, a pound of salt could fetch as high as $258. Graves on Grand Turk. Until about the start of the 1900s, waterborne pathogens took more European lives during the colonial expansions than all other causes combined. 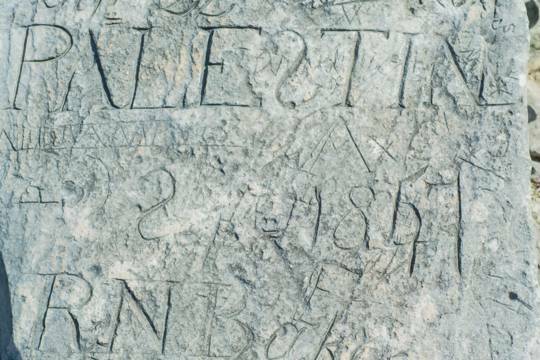 Land surrounding these graves also served as a place to isolate the sick to limit the spread of disease. Many are children's graves. 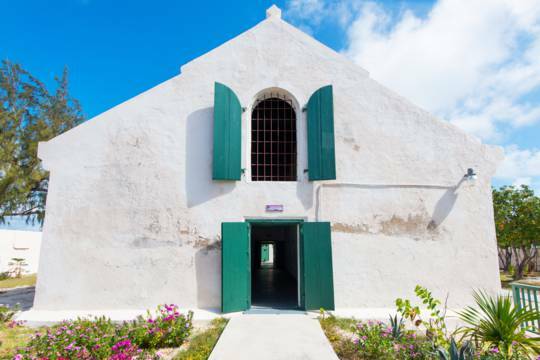 After the British lost the war, displaced royalists were granted land on the uninhabited Caicos Islands. Plantations were established on several islands, including Providenciales, to grow cotton. The islands soil were unable to support cotton for long, and combined with insects, drove most royalists away again. Their slaves, however, remained and are the ancestors of the native inhabitants today. In 1898, the London - Jamaica telegraph was completed, with Grand Turk in between. This led to the firm entrenchment of the communications industry by Cable & Wireless. It was only in 2006 that the final remnants of C&W's (now renamed Flow) monopoly were finally untangled. 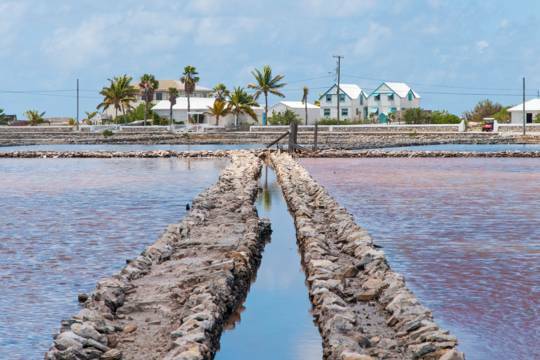 It was still the Turks Island salt that kept the Turks and Caicos going. In the late 19th century, attempts were made to grow sisal for rope fibres and to harvest sponges from the Caicos Bank. These failed too. Curiously, there was one non-salt related success. 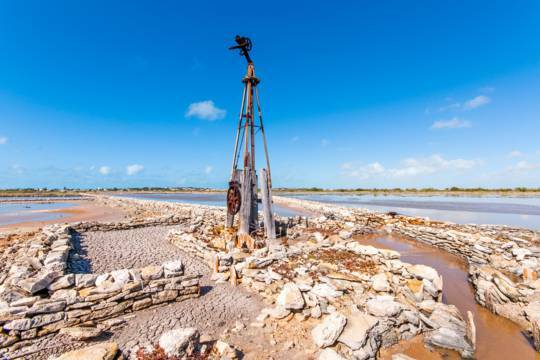 A cattle ranch was established on West Caicos in the 1890s that successfully supplied Grand Turk with meat for a few years. The last large-scale scheme was put to sleep in the 1970's. 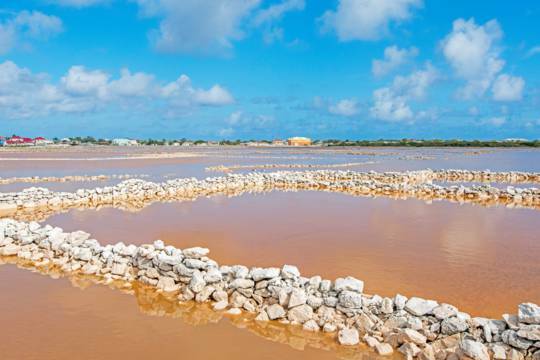 A multinational oil company wanted to build a large oil refinery on West Caicos. Fortunately for the environment, they only were able to bulldoze an airstrip before the project was cancelled. 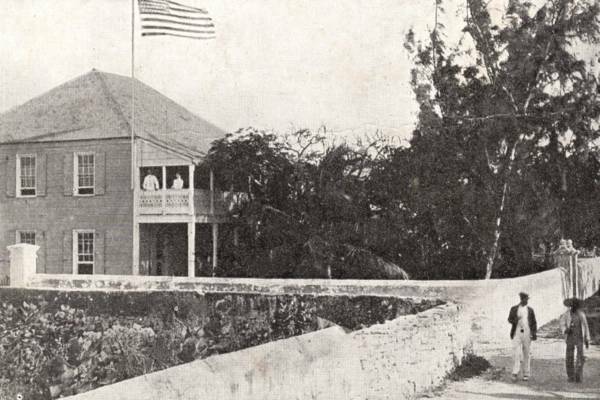 The American Consulate, Cockburn Town, Grand Turk. This consulate was built in the early 1800s. World War I dawned on an impoverished Turks and Caicos, still depending on the salt raking industry to survive. Nevertheless, the islanders were able to raise money to purchsase an ambulance for World War I, that was used on the western front. During World War II, the Turks and Caicos partially funded the Royal Navy frigate HMS Caicos, which was the only aircraft-detection frigate in use during the war. HMS Caicos was used in the North Sea to detect German V1 flying bombs aimed at London. The islands also managed to buy a Spitfire, and weaved mittens and other articles for the soldiers. 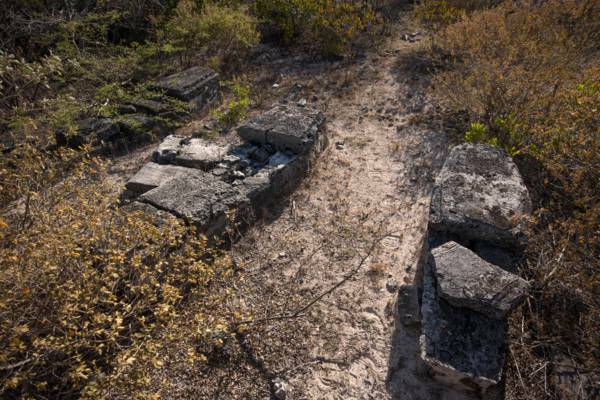 The Turks and Caicos also managed to be involved in a German spy operation. Shortly before the war, a group of American investors approached the Islands' commissioner with plans to build a resort. The Islanders eagerly wined and dined the investors and showed all the details of the islands. The investors left, never to be heard of again. That is, until detailed maps and information were discovered in the possession of a German spy ring by the FBI. This information led to several ships being sunk by U-boats near the islands. 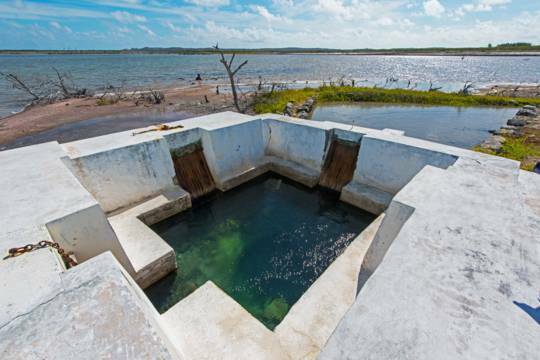 Found on the north end of Grand Turk close to the lighthouse, much of the now abandoned US Navy’s NAVFAC 104 base was dedicated to rain water collection, as the water from wells on the island proved to be a bit too brackish for use. After the war, salt was still the only income producer and the islands were struggling economically. It wasn't even worthwhile to govern the islands separately and the UK grouped them with, at first, the Bahamas and then Jamaica. It wasn't until Jamaica became independent in 1962 that the islands received a dedicated government and governor. It was also in 1962 that American astronaut John Glenn stepped onto Grand Turk after the first space flight. Today, a replica of his spacecraft can be seen outside the Grand Turk JAGS McCartney International Airport (GDT) and the Grand Turk Cruise Center in Grand Turk. 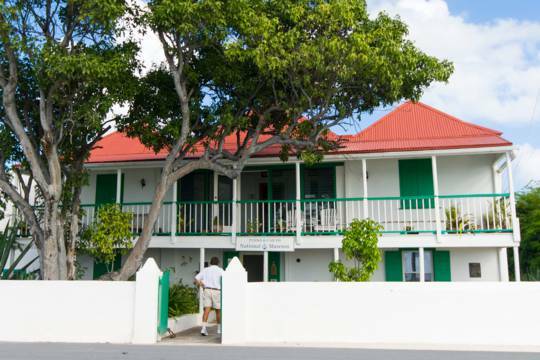 The 1960's was also the decade that first put Providenciales onto the map. 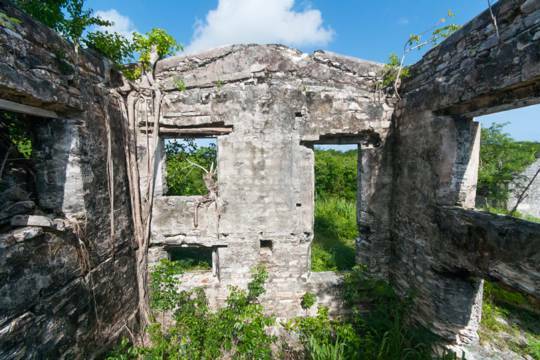 Up until the 1960's, Providenciales was inhabited by less than 500 people, and there were no cars and few roads. 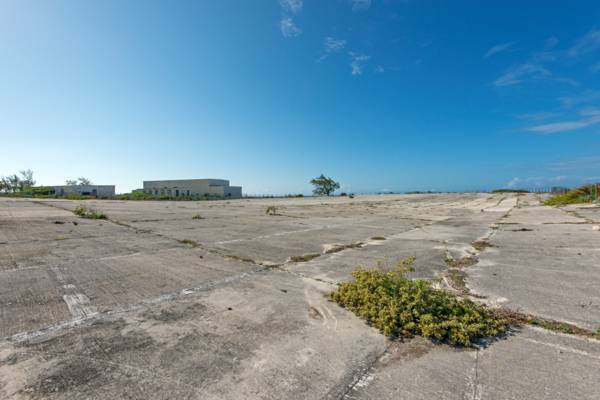 In 1966, Provident Limited, a development company, secured an agreement with the government granting them thousands of acres of Providenciales land in exchange for roads and an airstrip. Provident Limited then sold lots and built the Turtle Cove Marina. Providenciales remained a low-key destination until 1984 when Club Med built a new resort on the then-deserted Grace Bay Beach. This sparked the continuing surge of development that has carried Providenciales into one of the prime vacation destinations worldwide.